Editor's Note: This post originally appeared on the Content Marketing Institute blog. As far as the numbers go, vanity metrics look great on paper. But the sheen on these numbers fades when you try to use them to explain important business outcomes like ROI or customer lifetime value (CLTV); they become hollow digits that contribute little substance to proving your marketing is making money. A case in point, the number of “likes” earned from a Facebook post rarely correlates to the number of products sold on a store shelf. Some would argue that there is no correlation at all. Indeed, it is possible to make more sales from a post with only one “like” than from a post with 10,000 “likes.” The number of engagements is usually irrelevant to the number of sales. There is no clear correlation or causation between the metric and the goal. It’s the act of counting vanity metrics as evidence for success that is a problem — a problem easily demonstrated when measuring metrics such as impressions or traffic. In the example below (highlighted in green), Facebook earns three times more traffic than SlideShare as a channel. If reporting stops at the number of people clicking through to the site, Facebook is the best-performing channel. However, that assumption would be incorrect. Taking a deeper dive by following that traffic down the funnel to a conversion and the revenue earned by those conversions (highlighted in blue), you’ll find that SlideShare is the more valuable channel for this website. The vanity metric of traffic only tells half the story. There is no point in counting traffic unless it’s paired against a business objective. Yes, you need traffic to convert; but more traffic does not always equal more conversions. As a caveat, vanity metrics such as impressions, “likes,” and traffic are not useless; quite the contrary. The value of a vanity metric is in measuring non-transactional marketing goals (such as brand awareness, sentiment, and share of voice) as well as to optimize campaigns and troubleshoot marketing problems. Marketers use vanity metrics because they are both easy to obtain and they help show others in the organization that marketing provides immediate value. In other words, it’s quick and cheap reporting. Sounds a little dirty, doesn’t it? Surely, we can do better than this? 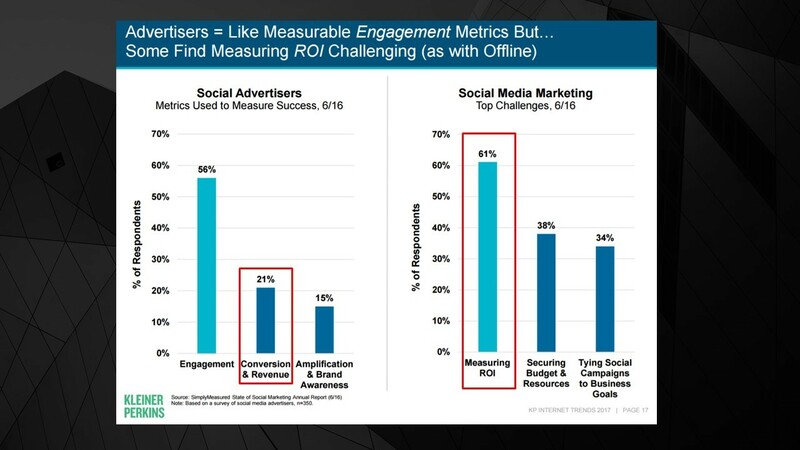 Advertisers are using engagement to report ROI. It’s not how such metrics work and is an example of why marketers are terrible at content impact measurement. It is important to remember that while the marketing spend will have an impact on the profit-and-loss statement immediately, dollars spent today are building the brand as an asset for the future. Marketing efforts not only drive sales and profits in the short term but also strengthen brand equity and customer relationships over time. You only see these long-term results through effective and relevant content, and evaluation of vanity metrics over time. Like “clickbait,” the words “vanity metric” have earned undeserved negative connotations, making it easy for marketers to dismiss their value. I like the term “optimization metrics” because it helps you understand their value. The purpose of a vanity/optimization metric is to help optimize your content for your target audience on a specific channel. When you report the number of impressions, clicks, or shares your content receives, you should NOT tie the numbers to ROI. Instead, you should tie them to better understanding your audience on that channel. Even the same vanity metrics (“likes,” comments, and shares) will have different meanings depending on the channel. 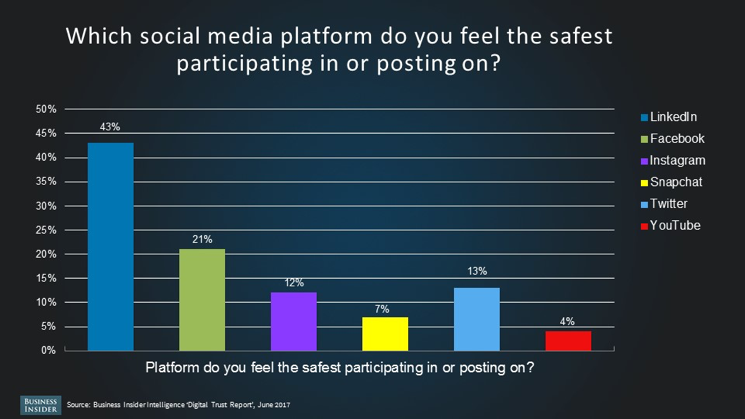 For example, a 2017 study by Business Insider revealed that people felt safer commenting on LinkedIn than on other channels. One likely explanation is that, unlike YouTube or Facebook, LinkedIn includes a person’s professional profile (name, place of employment, education), and thus people are more respectful and constructive when providing feedback. It’s harder to be a troll when people know where you work. Whereas, on YouTube, an individual can create an anonymous account and troll the comments. As a marketer, you can judge the vanity metric of comments on LinkedIn to be more valuable to your brand’s sentiment and marketing efforts than those received on YouTube. Alternatively, when it comes to the vanity metric of traffic, those who engage with content through Google Search are usually higher value (if your goal is transactional) than those on Instagram. With this in mind, leverage vanity metrics to support how to improve messaging to your target audiences through A/B testing and troubleshooting. Again, vanity metrics are most useful to report on your marketing goals, not your business goals. As an example, let’s take the marketing goal of awareness. You want to know if your content is resonating and relevant to your target audience – are they aware of your brand and content? To uncover this, measure awareness through A/B testing and the resulting vanity metrics. Let’s say you post content to LinkedIn and want to test imagery to see which works better for your targeted LinkedIn audience. You run an A/B test on snippet images to see if the image of the computer or the image of the woman is more relevant to your target audience. Hypothesis: What image engages my audience better to maximize my reach? Data: Click-through rate and impressions are evaluated. More clicks equal a positive correlation. More impressions could mean positive or negative correlation (I explore this further in the next section). Insight: The CTR vanity metric is a 160% higher rate for the image of the woman than for the image of the computer. Therefore, you can conclude that images of people are more relevant to this specifically targeted LinkedIn audience. But note, this may not be the case on Facebook because Facebook has a different audience with different intent and different engagement behavior. 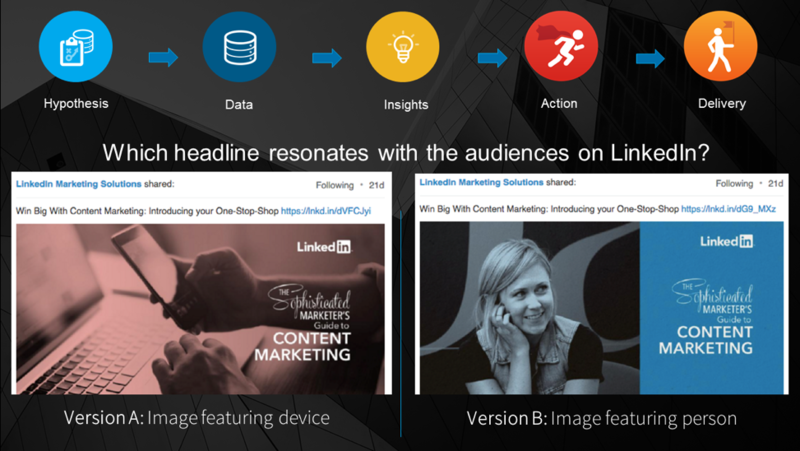 Action: You now adjust future content posts on LinkedIn to the optimized iconography. Note: A/B testing requires strategic planning across a large audience pool to deliver actionable insights. It takes time to do this right, so expect posts to fail in the beginning, as you are light on insights. But as your testing gets better so will your content and its performance. Let’s say you are running a paid campaign on Facebook and it is underperforming regarding traffic (marketing goal) and sales (business objective). 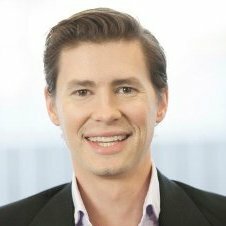 How can you use vanity metrics to solve this problem? First, evaluate the impressions because if you aren’t reaching the right audience, they can’t click. You hypothesize that you are reaching the right audience but not enough of them. Now, use that insight to increase your spend on Facebook to earn more eyeballs. On the flip side, if impressions are abnormally high but people are not clicking on the content, you can hypothesize that you are targeting the wrong audience or your content isn’t sufficiently compelling. Exercises like this show you how valuable vanity metrics can be to your marketing efforts. Using vanity metrics in this manner will help improve your content on the channel and, over time, lead to higher engagement and success for your marketing goals. Vanity metrics contribute to a return on investment, but how much they contribute to ROI fluctuates wildly; you need to align your expectations. At times, you can clearly see a direct line of sight from vanity metrics to an ROI goal; yet most of the time, the vanity metric is so high up the funnel that the results are too ambiguous to contribute effectively around bottom-of-the-funnel goals. To illustrate this point, it is both difficult and fruitless to try to measure the impact a piece of engagement (such as a “like” on Twitter) had on creating a sale on your website. Firstly, as we’ve discussed, metrics such as the number of “likes” do not necessarily correlate to the number of sales. Secondly, time is important. Let’s speculate about a customer who “liked” your tweet 18 months before they converted to a sale. A lot of time has passed between that engagement and the business goal, which makes it unlikely that the “like” on Twitter had anything substantial to do with the sale. Perhaps the “like” happened on a mobile phone whereas the sale occurred on desktop. Unless the customer is tracked across devices, her “like” on Twitter is invisible to the eventual outcome. 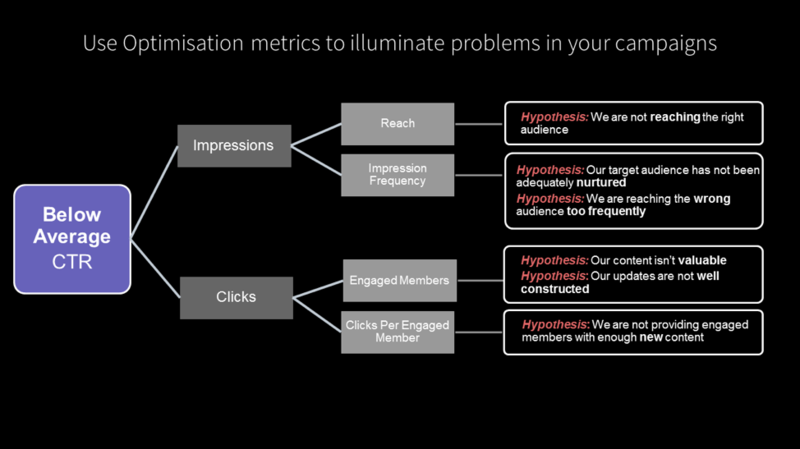 All these factors support the relatively ambiguous and pointless exercise of trying to tie vanity metrics to measure ROI without a good attribution model in place. Instead, when looking to measure ROI, focus on metrics that allow you to enhance the volume and quality of your conversions such as customer lifetime value (CLTV). This metric is not a vanity metric. Nor is it easy or fast to build. 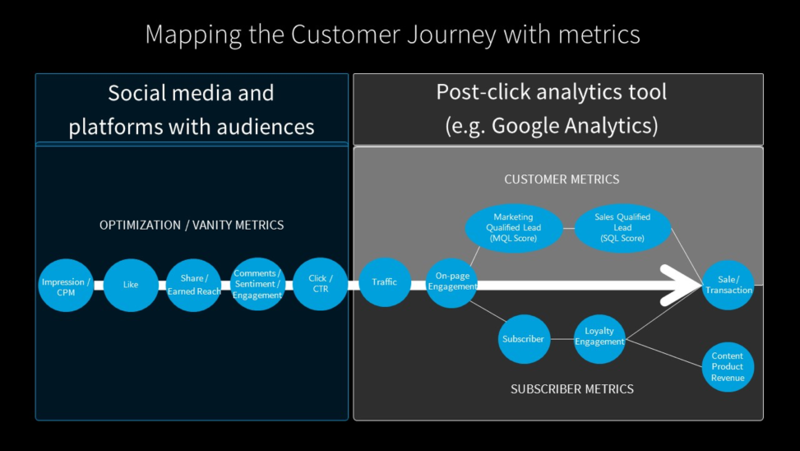 Vanity metrics illuminate movement along the customer journey, but CLTV ultimately is attributed to how well you track and understand your consumer journey. 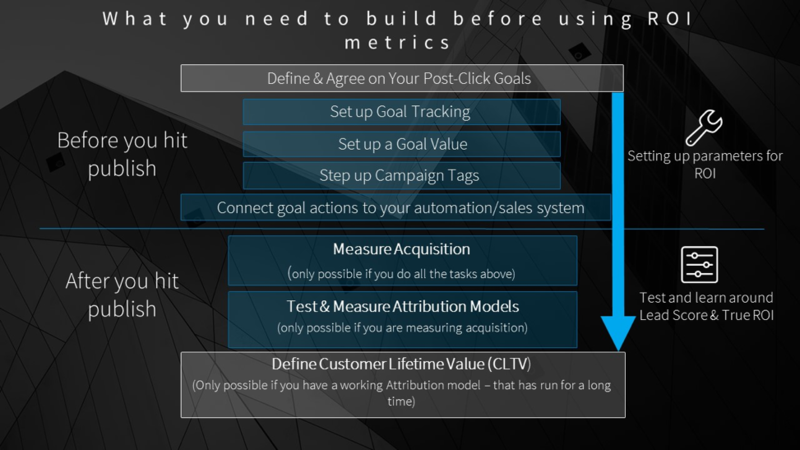 To better understand your CLTV, you need to build attribution models and lead scoring, and set business goals and values against user actions. Again, this process is not easy, nor is it fast – if it were, none of us would be doing the foolhardy practice of using vanity metrics as the substitute. You will not know your CLTV for perhaps a couple of years. During that time, you should use your vanity metrics to A/B test and enhance your marketing around the audience with the goal to develop a better understanding around their journey and clarity on their CLTV. Better use of vanity metrics leads to a more accurate and actionable CLTV, resulting in better business returns. Overall, vanity metrics can be used to measure many things, but they are most valuable when used to test and improve how your target audience is reacting to your content on different channels. Use vanity metrics to best measure your marketing goals such as sentiment or brand awareness on a specific channel. For business goals, such as ROI, vanity metrics should take a back seat to those metrics that build the customer lifetime value narrative (conversions, subscriptions, MQLs, SQLs, etc.). But note, this is not a quick win. CLTV takes time, A/B testing, volumes of content, and conversions to build an accurate picture. Don’t look for the quick and dirty win with vanity metrics; it’s not there. Get tips and tricks to help you overcome measurement and effectiveness challenges by subscribing to the LinkedIn Marketing Solutions blog.